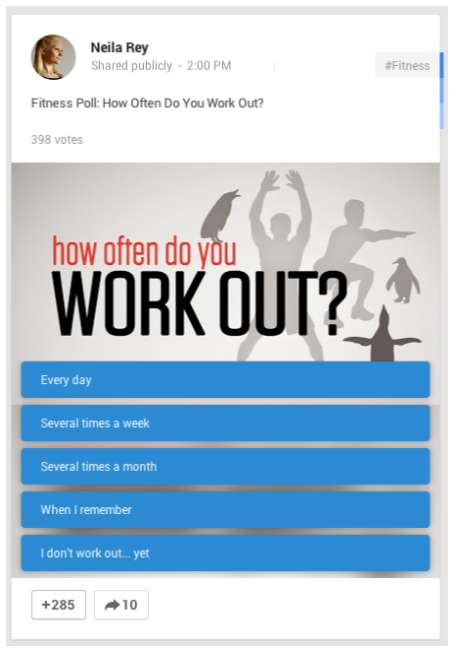 Google plus released today a new interesting feature called Google+ Polls which allows users to easily create interactive polls and share them with others. Using this new feature , you can now poll your students or you followers right from your Google Plus page. Google Plus polls also allows you to add images and pictures to your polls either from your device or from your Google Plus photos. Voters on polls will be able to see the results after they vote. "Polls will become available over the next few days on Android and the web, and are coming soon to iOS. Look for the new poll icon when creating a post to create a poll."